In 1946 Philippines become Independent however there much corruption and Police oppression. There begin a rural revolt, until May 1948 the Communist do not support it but then after the Calcutta conference they change they position. 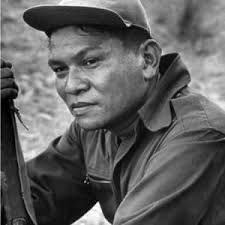 When the Korean War starts the United States Government increases military aid to the Government of the Philippines but insist that Ramon Magsaysay become Minster of Defence to led the fight back against the now Communist supported rebellion. A biography of Ramon Magsaysay who became President of the Philippines. In 1948 a Communist revolt begin in Burma which would last for more than 40 years.